Which neighborhoods are near great schools? Which communities have seen the greatest increase in market value over the years? What are the most promising projects in a given area? The best local brokers know. After all, they often specialize in localities where they live and work. Thus, they have an intimate knowledge of the place and are likely to keep abreast of market developments there. Listings can show you an array of real estate properties in an area – but a Realtor or broker can offer you homes for sale that don’t appear on listings. With access to both listed and unlisted properties, local agents offer a wider selection to choose from. And the more options you have, the better your chances of finding your dream home. The truth is, there will always be available properties in the area you wish to live in. The question is, will these homes suit your budget and needs? Without a real estate agent, you’ll have to sift through all the options yourself—a time-consuming task. An agent, however, will shortlist properties for you based on your wish list. Most homebuyers are shocked by the sheer amount of paperwork they need to deal with. From tax returns to bank statements, offer letters to Truth-in-Lending disclosures, the home purchasing process will seem like a paper labyrinth. An agent will walk you through the entire process to ensure that nothing falls through the cracks. A real estate agent will cast as wide a net as possible by marketing your property through offline and online channels. Then they’ll be in charge of fielding inquiries from prospective buyers. Many agents even give advice on how to stage a home for selling, or organize open houses for would-be buyers. Can you imagine doing all of this on top of your usual responsibilities? Buyers and sellers want one thing: to get the best deal possible. In order to achieve this, you’ll need to have savvy negotiation skills. Real estate agents have years of negotiation experience under their belts. They will look at the merits of your property and build a strong case for it so you can get top dollar. 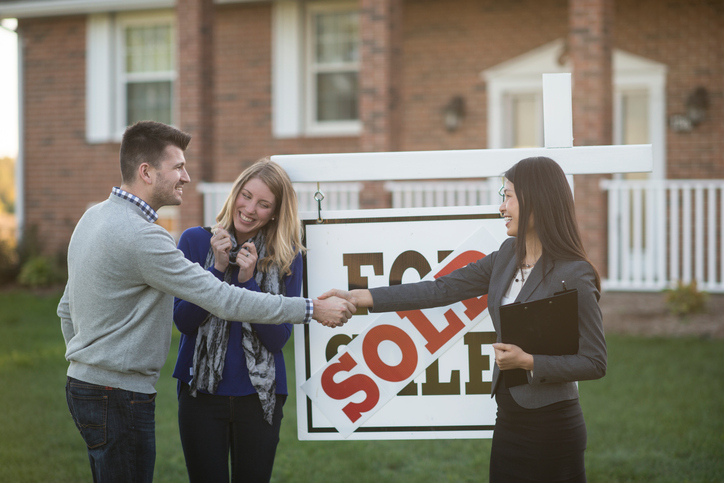 Agents know just about everyone involved in the buying and selling of a house. Need a professional inspector to check a property for deal-breaking flaws? Your agent knows one. Need a real estate lawyer to comb through all the legal documents? They have one on speed dial. Do you need an interior decorator to help you customize your home? They’ll give you a list of names. Whether you’re buying or selling a home, a real estate agent is your ally. If you’re in the market for Ashland area real estate, Washburn area real estate, and Bayfield area real estate in Wisconsin, work with the best Realtors. Call By the Bay Realty at 715.682.7337 or send an e-mail to jstricker54546(at)gmail(dotted)com.